We went to Subic last May 4 and 5. One of the places we visited is the Zoobic Safari. We decided to be early and arrived there at 8:30 A.M. The good thing about being early is that there is no line queue in paying the tickets and also inside the park. Sorry if I'll be boring you with lots of pictures. Tickets are at P495 each, kids below 3ft are free so Meg is not included here already haha but the lady gave us P100 less for Meg's ticket. Only my nephew Kieran entered for free. The entrance fee includes the following attractions: Zoobic Park, Rodent World, Serpentarium, Tiger Safari ride, Close Encounter, Savannah, Muzooeum, Aeta's Trail, Forbidden Cave, Croco Loco, Zoobic Cave, and Bird Walk. Look how brave si Meg o! She was really happy seeing the young goats (kid) and not afraid at all. I know I can be super OC sometimes but I let Meg explore her playful side and experience the interaction with the animals. 1. Go as early as possible. The park opens at 8 AM so I suggest you plan your time well. Aside from there's not a lot of people before lunch, you can avoid the scorching heat of the sun in the afternoon. It's super-hot when we went there and it's hotter in the afternoon for sure. It's not advisable to go there during rainy season and I just can imagine the mud and the hassle it is for the trip. 2. Bring a backpack for your things. I brought three separate bags for baon, camera, and our things and I had a hard time. Pack all your things in one bag that's not too heavy because you will walk around a lot. 3. Bring WATER! As in it's super super needed. There are stores in every stop but quite expensive for the size. I suggest you bring water bottles, a big one and smaller bottles for the kids. We freeze the water bottles so it's still cold during the trip. You can also bring light snacks like sandwiches, cookies, and chips. 4. You need money for the gift shops or if you feel hungry during the tour. Tissue, face towels, hand sanitizers, wipes, and hats are needed. I also commend Zoobic Safari for the clean restrooms. 6. Wear comfortable clothes and I recommend wearing rubber shoes or closed shoes. Sobrang alikabok because it's super super hot so imagine na lang if you will wear slippers. 7. If you're not much of an animal person, don't come na haha! Mabaho talaga in some attractions so if you're maselan and maarte, wag na lang. 8. Kids 4+ years old will enjoy this trip. It's actually a good interaction with animals in their natural habitat. Actually, a close interaction. Some animals like the birds are not caged at all so you can actually get near them. Meg enjoyed feeding the small animals and nothing beats a real experience than just discussing it at class. The park always has reminders in every station so just follow it and everything will run smoothly. Go now and experience Zoobic Safari and roar your Tiger pose! 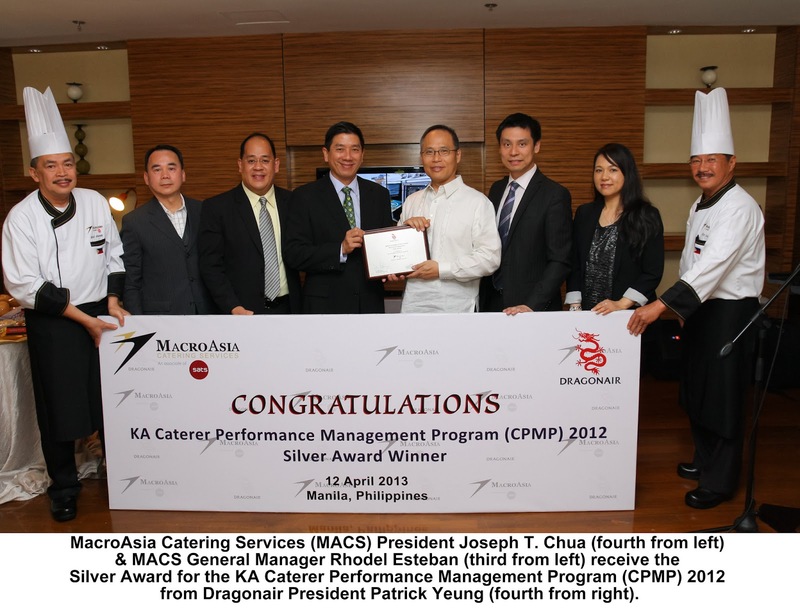 Hong Kong Dragon Airlines Limited (Dragonair) introduced their newly developed Caterer Performance Management Program (CPMP) in 2012 with the objective to enhance the current catering quality standards of their outport catering stations. This program serves as a very comprehensive system to measure and recognize caterers’ performance from all perspectives including Quality, Safety & Customer Satisfaction for a period of one year. Raise your hand if you love SUPERMAN! Schick razor has come up with a special edition Superman packs as The Man of Steel returns to the big screen on June 12. Transform yourself with Schick by buying any Man of Steel-marked razor packs to get a chance to win free movie tickets in SM Cinemas this June as 250 buyers of these special packs can get two free tickets each. Consumers can also get a chance to win exciting limited edition Superman premium items such as speakers, headphones, key chains, and notebooks. To join, visit Schick Transform. Enter your name, home address, phone number, email and the product barcodes indicated on the promo packs to participate in an electronic raffle draw. The Schick-Man of Steel promo kits include packs of Exacta 2 regular blue, sensitive green disposable razors, Exacta 2 Kit, Xtreme 3, and Quattro kit, and trimmer. Prizes will be drawn electronically every week beginning May 20, 2013 until August 31, 2013. All winners will be sent an official notification via registered mail, and their names will be posted on Schick Transform and Schick website. Prizes may be claimed at the offices of AXENT Inc. at 4/F Republic Glass Building, 196 Salcedo Street, Legaspi Village, Makati City. Prizes of provincial winners will be sent via courier. Schick-Man of Steel pack is a great skincare toolkit for a clean, well-shaved look and masculine confidence. This new product offering from Schick is a tribute to the upcoming Man of Steel movie directed by Zack Snyder and produced by Christopher Nolan. Promising to bring a new Superman for a new generation, the movie offers a fresh take on the Superman story, and features hunky British actor, Henry Cavill. Also, Schick razors offer a simple and effortless shave making it more of a less hassle-free skin care regimen. Each shave will leave your skin feeling clean, smooth, comfortable, and rejuvenated. Fans will get to see the new film in all local cinemas this June 12 2013, while those wanting to get his manly looks and confidence can grab the Schick-Superman Man of Steel pack in supermarkets, health and beauty, convenience stores, and other retail outlets nationwide. Buy yours now and enjoy the Return of SUPERMAN with Schick!